BYOD: Bring your own device. More and more, professionals are using mobile devices and blurring the lines between work and home. With the booming popularity of iPhones, iPads, and the use of laptops in corporate settings, one study showed that the average American worker works nearly seven hours a week outside the office. 80% of professionals do some sort of work past the end of the workday. This involves anything from answering phone calls and answering emails. 60% of those who work after workhours said it helps them to stay organized and nearly half said they feel like they have no choice. One way in this impacts our private lives is that it makes it more difficult for us to “switch off”. 31% of Americans say they have a hard time switching gears from work to home. 50% respond to emails in bed, 69% said they have to check email before going to bed, and 40% send work-related emails as late as ten at night. Then 68% of us start each morning by checking our emails. 50% check before getting out of bed. 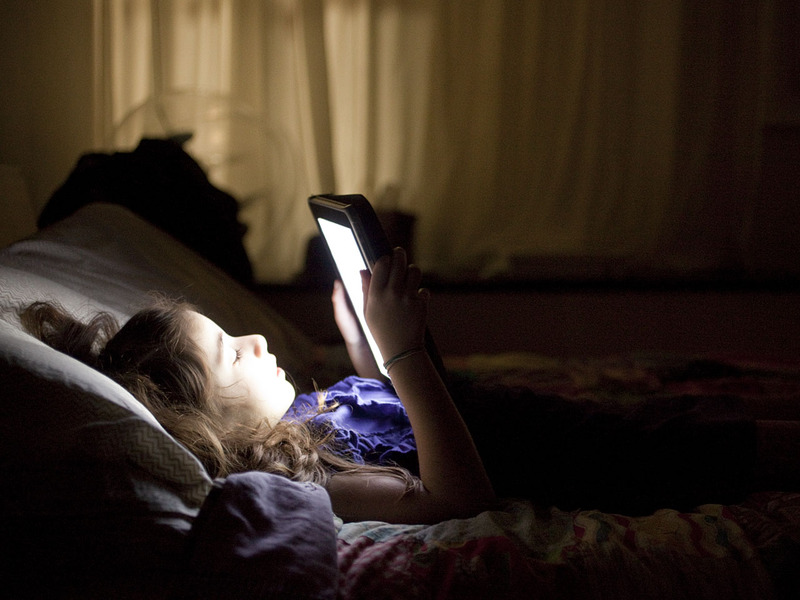 Do you use your iphone, ipad or other mobile devices before going to bed? Do you feel it helps you sleep or only delays you going to bed? Do you feel the urge to check email or facebook before you go to bed? When you wake up? The last thing that I see or interact with at night, before sleeping, is my iPad. I use it to catch up on the day’s news (something that I cannot do during the day), I use it to listen to some music and relieve some stress, use it to check my Tweets, and I use it to read a book before getting drowsy and falling asleep. Contrary to this research, I would say that my iPad actually helps me fall asleep! I personally don’t use any of these devises before bed, but my wife does, and she sleeps like a rock. So I think the Ipad helps her sleep. But I certainly see how we’re CONSUMED with these gadgets to a fault. Apart from the reduced production of Melatonin, light also seems to have an affect on your sleep, which is why it is recommended to sleep in a room that is dark – it helps one get better sleep. I refrain from staying as far away from phones and tablets before sleeping as possible (nothing beats a good book before turning in! ), however one of the first things that I do when I wake up is check my email on my phone. That cannot be a healthy thing to do, right?